Rangpur Dairy & Food Products Limited Job Circular 2017 is Food stuff based 100% export oriented company in Bangladesh, Recently this company publish various position job circular for potential people who are interested. Apply Now. 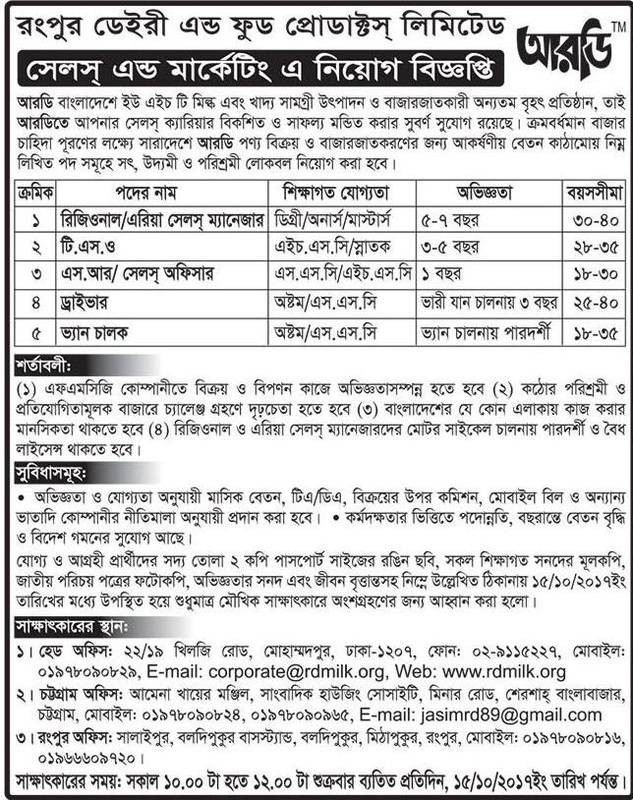 ■Number of job vacancies: See Job Circular Image. ■Job description / Responsibilities: See Circular Image. ■Apply Instruction: To Follow Job Circular Image. This entry was posted in All Jobs, Private Job, Rangpur by Shium Mahmud. Bookmark the permalink.